- Jerry Lawler defeated Michael Cole. Steve Austin was the special referee. The decision was later reversed (via DQ) by the mystery general manager. - The Miz retained the WWE Title, defeating John Cena. - CM Punk became the undisputed WWE Champion, defeating John Cena. 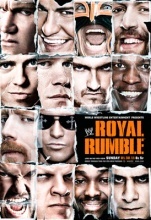 Triple H was the special referee. - Alberto Del Rio won the WWE Title, defeating CM Punk. Del Rio cashed in his Money In The Bank contract after Punk's match with Cena. - Mark Henry retained the World Heavyweight Title, fighting to a No-Contest with The Big Show. This was the match where the ring was broken after a superplex. - Team Barrett (Wade Barrett, Cody Rhodes, Jack Swagger, Dolph Ziggler, & Hunico) won an "Elimination" Match over Team Orton (Randy Orton, Sin Cara, Kofi Kingston, Mason Ryan, & Sheamus). Barrett & Rhodes were the 'survivors'. - Daniel Bryan won the World Heavyweight Title, defeating The Big Show. Bryan cashed in his "Money In The Bank" contract.